ARLINGTON, VA – March 20, 2012 — This April, PBS salutes Earth Day, Sunday, April 22, 2012, with an exciting month-long slate of new and encore programming. NOVA presents “Deadliest Tornadoes,” a look back at one of the worst tornado outbreaks in the U.S. in decades, and “Secrets of the Sun,” offering a greater understanding of our nearest star. New specials include ENERGY QUEST USA, inspiring stories of how ordinary citizens are making planet-friendly energy choices, and POWERING THE PLANET, an eye-opening look at sustainable energy solutions. INDEPENDENT LENS presents “Revenge of the Electric Car,” a look at the global resurgence of the electric car, and “Facing the Storm,” a wide-ranging history of bison and the attempts to bring them back to roam free. With other primetime premieres from NATURE and AMERICAN EXPERIENCE, the weeks leading up to Earth Day give viewers the opportunity to explore the wonders of nature. Other premieres include GRAND COULEE DAM: AMERICAN EXPERIENCE, an exploration of how the tension between technological achievement and environmental impact hangs over the project’s legacy, and NATURE “River of No Return,” about a young couple’s honeymoon that becomes a tale of survival in Idaho’s Frank Church – River of No Return Wilderness. Beginning April 15, a special compilation of Earth Day and environmental programs will also be featured on PBS.org. Full schedule and episode descriptions are below. GRAND COULEE DAM: AMERICAN EXPERIENCE Tuesday, April 3, 2012, 8:00-9:30 p.m. ET In the wake of the Great Depression, America turned from private enterprise to public works — not simply to provide jobs, but to restore faith. The ultimate expression of Franklin Roosevelt’s New Deal, Grand Coulee played a central role in transforming the Northwest; it was the largest hydroelectric power producing facility in the world when it was completed in March 1941. Featuring the men and women who lived and worked at Grand Coulee and the native people whose lives were changed, as well as historians and engineers, this film explores how the tension between technological achievement and environmental impact hangs over the project’s legacy. NOVA “Deadliest Tornadoes” Wednesday, April 11, 2012, 9:00-10:00 p.m. ET In April 2011, the worst tornado outbreak in decades left a trail of destruction across the U.S., killing more than 360 people. Why was there such an extreme outbreak? How do such outbreaks form? With modern warning systems, why did so many die? Is our weather getting more extreme — and if so, how bad will it get? In this NOVA special, get a look at the science behind the last year’s outbreak, meeting those affected and the scientists striving to understand the forces behind the outbreak. Could their work improve tornado prediction in the future? Learn how we all can protect our communities and ourselves in the future. NATURE “River of No Return” Wednesday, April 18, 2012, 8:00-9:00 p.m. 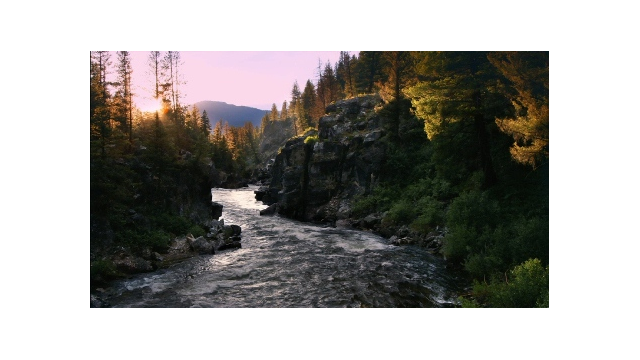 ET The Frank Church – River of No Return Wilderness in Idaho is the largest contiguous area of protected wilderness in the continental United States. A young couple, Isaac and Bjornen Babcock, chose this wilderness for their yearlong honeymoon. But what begins as a romantic adventure becomes a tale of struggle and survival — both for the newlyweds and for every life trying to make it in the unforgiving heart of the wilderness. INDEPENDENT LENS “Revenge of the Electric Car” Thursday, April 19, 2012, 10:00-11:30 p.m. ET Director Chris Paine takes viewers behind the closed doors of Nissan, GM and the Silicon Valley start-up Tesla Motors to chronicle the story of the resurgence of electric cars. Without using a single drop of foreign oil, this new generation of car is America’s future: fast, furious and cleaner than ever. “Revenge” follows the race among major carmakers to be the first, the best, and to win the hearts and minds of the public around the world. ENERGY QUEST USA Sunday, April 22, 2012, 4:00-5:00 p.m. ET Hear inspiring stories from citizens who have made smart energy choices. In Kansas, communities compete for cash prizes in an energy conservation contest. In Baltimore, the Neighborhood Energy Challenge is enabling low-income homeowners to save money through simple measures. In Alaska, ocean power, low-emissions heating fuel from wood waste and innovative low-temperature geothermal turbines are becoming part of the power portfolio. In Fort Worth, fracking has led to a major economic and employment boom, even as citizens continue to pursue what they call “cowboy sustainability.” And in Oregon, forward-thinking decisions have given rise to a vibrant economy and turned the city into one of the nation’s greenest. POWERING THE PLANET Sunday, April 22, 2012, 6:00-7:00 p.m. and 10:30-11:30 p.m. ET; rpt. Thursday, April 26, 2012, 9:00-10:00 p.m. ET Take an eye-opening look at some of the world’s most important case studies in energy policy. In Spain and Morocco, large-scale solar farms and individual photovoltaic panels atop tents in the Sahara are bringing the vast potential of the sun down to Earth. In Brazil, natural resources are transformed into biofuel, making Brazil the only nation whose cars could run normally if gasoline were to vanish. In Samsø, Denmark, and in West Texas, citizens have taken sustainability into their own hands by becoming stakeholders in wind turbines. In China, multiple sustainable energy technologies are giving rise to a “new empire of clean tech.” What about America? One energy insider predicts an “energy abyss” if smart decisions aren’t made. Learn how great nations and small communities are finding sustainable solutions that provide for people and protect the planet. NOVA “Secrets of the Sun” Wednesday, April 25, 2012, 9:00-10:00 p.m. ET It contains 99.9 percent of all the matter in our solar system and sheds hot plasma at nearly a million miles an hour. The temperature at its core is a staggering 27 million degrees Fahrenheit. It convulses, it blazes, it sings. You know it as the sun. Scientists know it as one of the most amazing physics laboratories in the universe. Now, with new spacecraft and Earth-based telescopes, scientists are seeing the sun as they never have before and even re-creating in labs what happens at the very center of the sun. Their work will help us understand aspects of the sun that have puzzled scientists for decades. But more critically, it may help us predict and track solar storms that have the power to zap our power grid, shut down telecommunications and ground global air travel for days, weeks, even longer. Such storms have occurred before — but never in the modern era of satellite communication. INDEPENDENT LENS “Facing the Storm” Thursday, April 26, 2012, 10:00-11:00 p.m. ET Bison have had a rich and complex relationship with the people of North America. From the first Americans who relied on bison for food, shelter and clothing to modern wildlife conservationists who are struggling to re-establish a place for bison in the Great Plains, this program provides a far-reaching history of human sustenance, exploitation, conservation and spiritual relations with the ultimate icon of wild America. In keeping with the spirit of Earth Day, PBS is recycling some of its most popular eco-programming. PANAMA CANAL: AMERICAN EXPERIENCE Tuesday, April 3, 2012, 9:30-11:00 p.m. ET Unravel the story of one of the world’s most significant technological achievements. YELLOWSTONE: LAND TO LIFE Thursday, April 5, 2012, and Monday, April 9, 2012, 10:30-11:00 p.m. ET Filmmaker John Grabowska presents a lyrical interpretation of the sweeping geologic story of Yellowstone, the world’s first and most famous national park. Filmed over two years through all seasons, the film delves deeply into the significance behind the scenery and illuminates the intimate bonds between the landscape and biology — how Yellowstone’s geology influences where life exists and how it evolves. A short concluding film, “Yellowstone’s Cascade Corner,” features the portion of Yellowstone extending across the southwestern border of Montana into Idaho. JOURNEY TO PLANET EARTH “Plan B: Mobilizing to Save Civilization” Saturday, April 21, 2012, 8:00-9:30 p.m. ET Hosted by Matt Damon and based on the book by environmental visionary Lester Brown, this film’s message is clear and unflinching — either confront the realities of climate change or suffer the consequences of lost civilizations and failed states. EARTH: THE OPERATORS’ MANUAL Sunday, April 22, 2012, 5:00-6:00 p.m. ET An operators’ manual helps keep your car or computer running at peak performance. Earth science can do the same for the planet. Join geologist Richard Alley as he travels the world in this upbeat report on the interconnected stories of humans and fossil fuels, Earth’s climate history and our future energy options will leave you amazed at the beauty and bounty of the planet, inspired by human ingenuity, and optimistic about the future. PBS, with its nearly 360 member stations, offers all Americans the opportunity to explore new ideas and new worlds through television and online content. Each month, PBS reaches nearly 123 million people through television and more than 21 million people online, inviting them to experience the worlds of science, history, nature and public affairs; to hear diverse viewpoints; and to take front-row seats to world-class drama and performances. PBS’ broad array of programs has been consistently honored by the industry’s most coveted award competitions. Teachers of children from pre-K through 12th grade turn to PBS for digital content and services that help bring classroom lessons to life. PBS’ premier children’s TV programming and its website, pbskids.org, are parents’ and teachers’ most trusted partners in inspiring and nurturing curiosity and love of learning in children. More information about PBS is available at pbs.org, one of the leading dot-org websites on the Internet, or by following PBS on Twitter, Facebook or through our apps for mobile devices. Specific program information and updates for press are available at pbs.org/pressroom or by following PBS Pressroom on Twitter.